Eleven years, four open-heart surgeries and one pacemaker after Lexanne Fuchs was born with a life-threatening heart defect, she found herself living at Riley Hospital for Children at Indiana University Health in desperate need of a transplant. 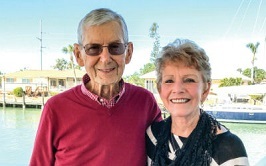 So when the call came late one night that a heart was available, her parents, Ben and Rexanne Fuchs, were thrilled. But Lexi, a practical, dedicated student who kept up with school work despite her health, had some concerns. “They told me about the heart, and I said, ‘No, sorry, I’m busy tomorrow. I have school (at the hospital), and my daily schedule is all set up. Can we do it another time?’” laughs Lexi, now a 13-year-old eighth-grader at North Putnam Middle School in Roachdale, Ind. 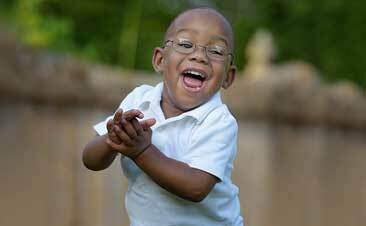 The school work was put on hold, and the transplant went forward as planned the next morning—Feb. 25, 2015—just two months after Lexi was put on the transplant list. Lexi had a smooth recovery and returned home weeks later. She’s since embraced the new energy that’s come with her new heart, joining her school’s swim team—an impossibility before her transplant—and is active on the student council, the school newspaper, in 4-H and at her church. 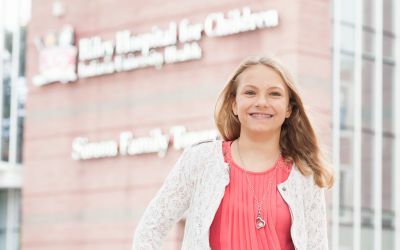 Lexi has also become a leader among the young transplant community at Riley, notes pediatric cardiologist Dr. John Parent. Lexi returns to Riley every few months. Her transformation has been a joy to watch for her immediate family, along with her extended family at Riley, many of whom have known Lexi since she was a baby.